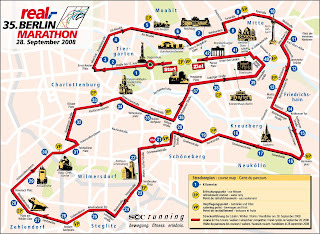 The Berlin marathon is regarded as one of, if not the, fastest marathon courses in the world. This is due in large part to how flat the city is and how comfortable the climate is around race day. 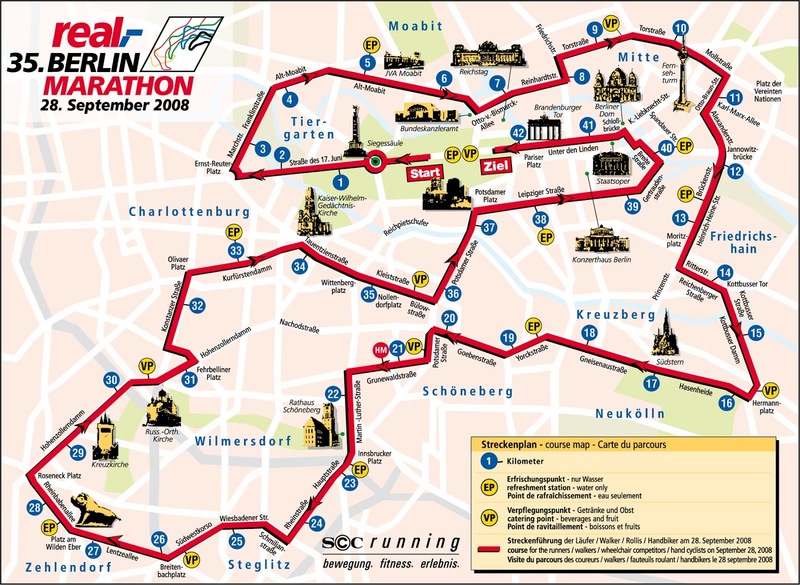 One of the best parts about the Berlin course is that it's a big loop and the city's transportation system is excellent. Kacey was able to hop on and off the U-Bahn at various points around the course to take pictures of me and took stuff from me that I no longer needed (like empty bottles or clothing). The world record was set before I reached the halfway point. I think I ran as well as I could have, even though I was following a "run 9 minutes, walk 1 minute" program. And besides, I wasn't planning on setting any records today. Right around mile 20, I popped open a bottle of the Powerbar Mg shot. It definitely helped my fading legs. I also darted inside a convenience store to buy some more Gatorade and a can of Red Bull because I just wasn't getting the hydration/energy from the race-supplied beverages. See those two ladies in black and white behind me? My finish time was just over 5:05, which isn't what I was aiming for...but it does mean that I finished. I did walk more in the last couple miles, but I put everything in to the last half-mile and ended up passing some ladies I started the race next to earlier in the morning. I forget how long I sat in the ice bath afterwards, but it felt so good. At best, I might run one more marathon in my life...but I won't feel bad if I don't. We took advantage of a three day weekend to go to Scotland. 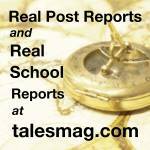 We visited Loch Lomond and the Scottish Highlands, the Stone of Scone, played around at St. Andrews, and even took a ride on the Falkirk Wheel.